Sometimes the skills of an experienced personal injury attorney in Philadelphia are worth the money to represent you. Even just the threat to an insurance company will be worth its weight in gold. You may need an attorney because of complex legal rules involved in your particular claim or because of the severity of your injuries may cause your compensation to vary. The amount of compensation you will receive from an accident is determined by how severe your injuries were. The severity of your injuries is measured by the amount of your medical bills, types of injuries you have and the length of time needed for your recovery. This is when it is worth the expense to hire an attorney to handle your claim and make sure you receive compensation at the highest amount possible. Insurance companies will try very hard to lessen your compensation rights and it is detrimental to your case to have representation. 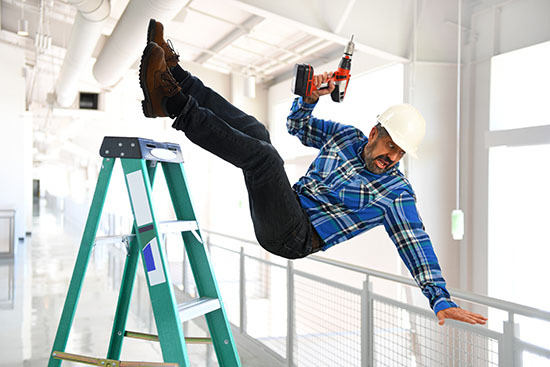 Some accidents result in injuries that affect your physical capabilities for a long time or even permanently. Figuring out how much such a serious injury is worth can prove to be very difficult. How do you put a price on a disability? This situation will definitely require assistance from an experienced attorney to fight for you and get you justice that you deserve. Sometimes accidents that occur in a large retail store or in the workplace can make you feel like a small person being treated unfairly. If you sustained injuries in a large retailer or the workplace, hiring someone to defend you will guarantee that you aren’t made to feel small. An attorney can be intimidating and most companies don’t want the headache that comes with negative publicity. It’s best to have someone in your corner to stir up the pot. In some cases, insurance companies can low-ball you or even refuse to pay anything for the injuries you sustained due to the negligence of their client. You may be facing huge medical bills and lost income. You will want to hire an attorney in this situation because they know the ins and outs of insurance companies and will get you the compensation you deserve. Knowing when to hire a good personal injury attorney is important to your case. Finding the right one is just as important. Ask around and get referrals. Interview good attorneys and research their background. If you are seeking a personal injury attorney in Philadelphia, the staff at Martins Mill Legal Center can help with your personal injury claim. They are experienced lawyers with years of practicing personal injury cases. Leo Flynn, is the most experienced personal injury attorney, having worked for a large insurance firm, he knows how the insurance companies work and what it takes to get you the maximum compensation. Reach out to Leo Flynn and his team at Martins Mill Legal Center today!